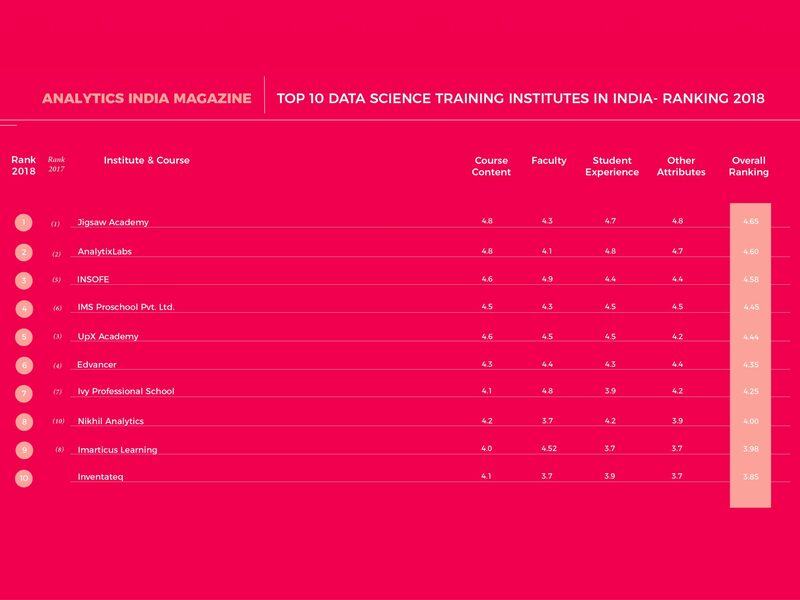 We bring to you the analytics and data science training institute ranking for the year 2018. As a part of the study we reached out to 20+ institutes that are offering training in the area of new tech. We sent out a Google form to the participants that were sorted for eligibility based on these two criteria: 1) They should have multiple programs in analytics and data science, 2) The flagship program not to be a long duration. The key parameters based on which these training institutes were ranked comprised of course content & comprehensiveness, faculty details such as those with PhD or industry experience, student experience such as post completion engagement. Other parameters included external collaboration, placement assistance and more. Each of these parameters have been ranked on the scale of 0-5 where 0 is for worst and 5 for best. The institutes that could not be a part of the list either did not participate in the ranking process or could not make it to our list. See our Top 10 Full Time Data Science Courses In India- Ranking 2018 here. See our Top 10 Executive Data Science Courses in India – Ranking 2018 here. See our Top 10 Courses And Training Programs On Artificial Intelligence In India: Ranking 2018 here. 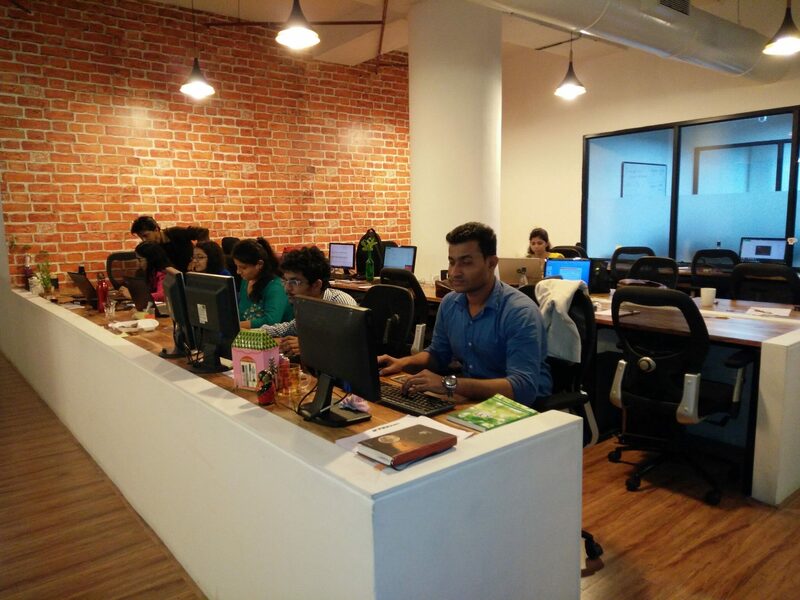 Jigsaw Academy has been key in contributing to the evolution of analytics talent in the country. It has produces over 50,000+ data scientists in 30+ countries. They offer training in multiple popular and niche tools such as data science, machine learning, big data and AI technologies. They have a collaboration with the University of Chicago for their programme Post Graduate Program in Data Science & Machine Learning. Comprehensiveness: The Full Stack programs are aligned to job roles in data science and machine learning, and therefore offer comprehensive coverage of all aspects of data science such as descriptive, predictive, prescriptive with both Statistical and ML algorithms. It also covers tools such as Python, R, SAS, Tableau. The learning methodology emphasises hands-on practice on real life datasets covering multiple domains including Finance, ecommerce, Supply Chain, Healthcare, HR and more. The capstone project duration is 1-3 months whereas frequency of course updation is every 6 months. Accessing students: The assessment process includes checking conceptual understanding as well as implementation via multiple case study assignments. They are also assessed by capstone project where students have to submit a technical as well as a business solution and go through a viva to explain results. Placement assistance: They provide full placement assistance. External collaboration: Jigsaw Academy continuously works with industry Subject Matter Experts and companies to provide datasets for hackathons and contests for students to gain experience certificates, recommendation letters as well as guest lectures on both technical and career related topics. Cities of Operation: Bengaluru, Delhi NCR, Global reach with our interactive online and video based programs. 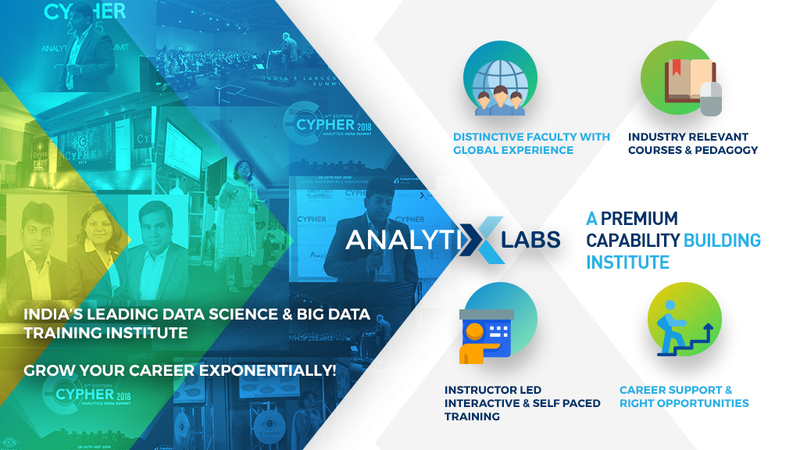 AnalytixLabs pioneers in high quality training solutions since 2011 and is led by a team of McKinsey, IIM, ISB and IIT alumni with deep industry experience. They offer a wide array of courses for beginners and experienced professionals. With strong clientèle of MNCs and government organizations, they have also successfully delivered programs both in India and globally. Comprehensiveness: The course is compiled by industry experts from companies such as American Express, BlackRock, Cisco, EXL Services, Genpact, and others. Courses are meticulously mapped to cater to the requirements of various job roles and is divided in sub-modules which are followed with assignments and real-life project work for experiential learning. The trainers and mentors constantly guide students towards the approach they should be adopting when faced problems at work. It also includes capstone project of duration 1-3 months and course is updated frequently every 6 months. Accessing students: There are three levels of assessments. First is based on case studies, second is internal assessment tools to test conceptual as well as practical knowledge and last of assessment is personal interview sessions with experts which also helps candidates to prepare for job interviews. Post completion engagement: Provide assistance for profile building, help in interview preparation and mock interviews. Placement assistance: Full assistance is provided. Entry criteria of students: We profile students based on education background, work experience (if any) and suitable course is suggested accordingly. For certain courses STEM background is mandatory. External collaboration: Their one of the biggest collaborations is with Asean Data Analytics Exchange, Malaysia. They are also in talks with HR ministry directly to impart training on HR analytics. INSOFE is helping organisations walk the path of AI through its tailored corporate training programs and consulting engagements. Its curriculum is designed such that it is based on the requirements of the industry and inputs are taken from three key stakeholders i.e. the industry, universities and the fellow practitioners. Comprehensiveness: INSOFE’s course curriculum is specially designed to meet the industry requirements. It is designed such that, it throws light on both conventional methods as well as cutting edge technology. The 23-week intensive program includes sessions starting from the basics of data analytics and big data spread across tools such as visualization, statistical modelling, machine learning, deep learning and other important concepts. The capstone project is of duration 1-3 months and course is updated every 6 months. Accessing students: INSOFE’s multi-pronged assessment approach ensures that learning is maximised. The assessments test the students’ ability to grasp the terminology through concepts and to apply those concepts in business problem scenarios. These are done throughout the program to gauge their progress continuously. It’s done with the help of “Recall Output Tests (ROTes), Conceptual Understanding Tests (CUTes), Hands-on Lab Tests (HoTs), Mid-term Hackathon (MiTH), Project Hackathon and Defense (PHD), Feedback and Attendance”. Students have to write a project report and defend it. External collaboration: INSOFE has entered into an academic MOU with Rennes School of Business, France, (RSB) which allows graduates of INSOFE’s PGP in Big Data Analytics certification program to progress directly into the 2nd Semester of RSB’s MSc in Data and Business Analytics (full-time) program. The students graduate in France and benefit from all existing visa policies of the French government. The MoU also facilitates faculty from RSB to teach at INSOFE campuses in Hyderabad and Bengaluru. The overall rating is 4.58. 4. IMS Proschool Pvt Ltd.
IMS Proschool is an Initiative of IMS Learning Resources. Proschool in partnership with NSDC – National Skill Development Corporation offers various career oriented and skill enhancement programs including Maharashtra Government’s MSTB approved Postgraduate Diploma in Data Science and NSE Academy Certification course in Business Analytics across 9 cities in India. Comprehensiveness: The course covers various analytical tools such as R, SAS, Hadoop, Python, Tableau, advanced analytics, text analytics, machine learning, marketing analytics and more. The course includes mentoring from data scientists from companies such as Mckinsey, Deloitte, Mu Sigma, Google, PWC etc. Apart from capstone project which is of duration 1-3 months, there is an access to additional live projects from startups, and workshop on tools such as Azure, Amazon AWS, IBM Watson, Power BI etc. Accessing students: Before the completion of the course, students have to submit the assignments on all the topics. After the completion of the training program, students have to submit the capstone project & complete the term end exam. Expert faculty evaluates the capstone project through Viva. In the term end exam, students have to solve business problem using tools like R or Python to demonstrate their understanding of the course. Post completion engagement: Workshop on career guidance, CV building, interview preparation, updates on latest technologies and additional capstone projects. External collaboration: They have external collaboration with National Skill Development Corporation, an initiative of Govt. of India, NSE academy, an initiative of National Stock Exchange, Praxis School, Pi R Square. The overall rating is 4.45. Comprehensiveness: It is a one-of-a-kind program- which helps in becoming a Full Stack Data Scientist in a span of 6 months. The course includes advanced concepts such as NLP using Deep Learning, and basic concepts such as Python, Statistics, Machine Learning and Tableau. The capstone project is of duration 1-3 months and the frequency of course updation is every 6 months. Accessing students: After candidates clear the CASE base examination, they earn a certification from Tech Mahindra. The industry-recognised certification boosts prospects and add value to their CVs. Placement assistance: Guiding the candidates for employment, conduct industry immersion sessions, bring people from the industry to interact with students. Whenever organisations have any requirements, they float these job descriptions in student community. External collaboration: UpX academy is powered by an IT major Tech Mahindra. The overall rating is 4.44. Edvancer is one of India’s leading data science training institutes, providing training in analytics, data science, machine learning, AI & big data globally. It has trained over 7,000 professionals in 25 countries in these areas. It is an IIM-IIT-ISI alumni venture for building capabilities in data science & AI and works with over 50 leading corporates including Fortune 100 companies. Comprehensiveness: The course covers everything from predictive analytics, machine learning, deep learning, big data development and data visualization in tools like R, Python, Tensorflow, Keras, Tableau, Hadoop, Spark and SQL. It has capstone project of duration 1-3 months and course is updated every 6 months. Accessing students: Project-based assessment: They work on 10 different projects on which they are assessed. Learning resources: Books, downloadable resources, LMS, videos, question paper, case studies and more. Post completion engagement: Students have lifetime access to course content and faculty support. Consistent engagement through newsletters on industry updates and job postings. Any upgrades in course material are also provided free of cost. External collaboration: Edvancer has partnered with Wiley, the world’s largest education provider for a globally recognized certification in Big Data and Hadoop. It has also partnered with corporates like Ernst & Young, PwC, Deloitte, General Mills, Cognizant, HDFC Bank, Kotak Mahindra Bank, Genpact, GE Capital, TVS Credit, Munich Re amongst many others for hiring its students and training their employees and clients. The overall rating is 4.35. Ivy Professional School has been a leader in the data science and analytics training industry since 2007. More than 15,500+ students and professionals from elite colleges like IITs, IIMs, NITs, and companies like Honeywell, Oracle, Accenture, IBM, eBay/PayPal, GE, KPMG, Deloitte, Moody’s, Infosys, etc. have been trained by Analytics experts from Ivy. Comprehensiveness: The course which has been designed with contribution of experts from companies such as Microsoft, Google, Genpact, HSBC covers advanced analytics and machine learning concepts such as Excel/VBA, SQL, SAS, R, Python, Tableau, Scala, Spark, etc. Special focus is laid on experiential learning by including case studies for each topic. Students also go through rigorous career coaching and 1-to-1 mentoring by expert data scientists. The capstone project is of duration more than 3 months and course is updated every 6 months. Accessing students: Students go through a rigorous process of assessment after every module completed in the course. They are assessed on the basis of test, quizzes, self- exercise contribution, case studies, capstone projects etc. Every students needs to obtain a score of at least 70% overall and 85% in every module to be awarded the Certificate. Post completion engagement: They create engaged and supportive alumni network and engage them with life long placement support, resume upgrading sessions, industry projects workshops, seminars, and others. Placement assistance: They provide full assistance. External collaboration: They have enhanced industry partnership with large firms such as Nielsen, PwC, Honeywell, Genpact, etc. to create exclusive Right2Hire batches where the anchor industry partner becomes knowledge partner and gets the right to hire the candidates. They also have learning partnerships with Fortune 50 large manufacturer, university and college association with IIT, IIM, Xavier’s, IIFT, Delhi University, etc. to train their students on Data Science. The overall ranking is 4.25. Nikhil Analytics was started in 2012 with a focus on providing hands on training in analytics and build quality candidates who can fill the gap of talented resource in this domain. Till date they have trained thousands of candidates and helped them to make their career in analytics and data science. Comprehensiveness: Their course on analytics, data science, machine learning covers tools such as as MS Excel, SQL, SAS, R, Python, Tableau. The training is completely hands-on where candidates learn the concepts by practising it. The course also covers capstone project of duration 1-3 months and the course is updates every 6 months. Accessing students: After set of certain topics are covered in a module, test is conducted. There is a practice test followed by hurdle test that has passing percentage. Unless candidates have passed these, they cannot move to the next level. In the end full length tests are conducted and candidates needs to score minimum passing marks to earn a certificate of course completion. Post completion engagement: They have engagement programs for candidates completing the course in terms of hiring them as interns, deploying to different analytics companies, assisting them with resume preparation, conducting interviews and helping them to get jobs via different channels such as HR contacts, alumni network, job consultants etc. External collaboration: In past they have had collaboration with NTU Singapore. For this year also they are in talks with different universities for external collaborations. 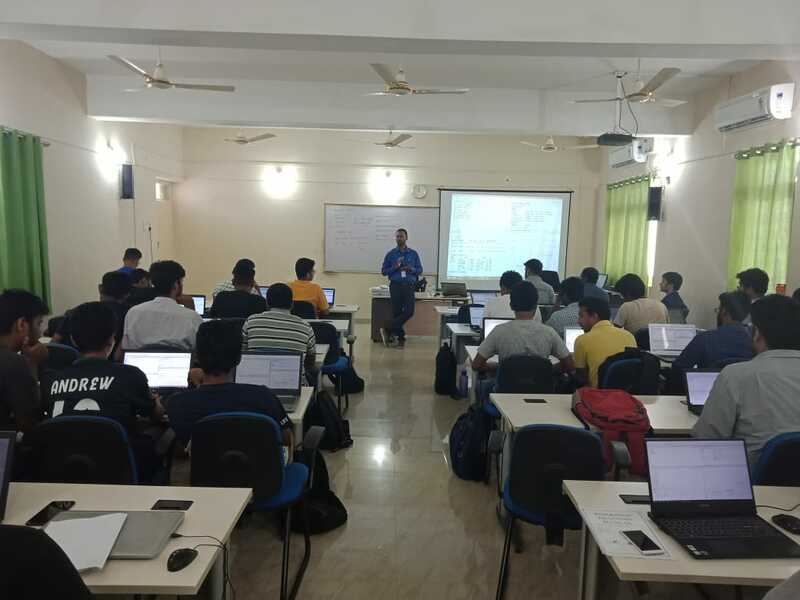 They had conducted 1-2 day analytics workshops for different colleges such as ISME Bangalore, NIT Jamshedpur, IIM Bodhgaya etc. The overall ranking is 4.00. 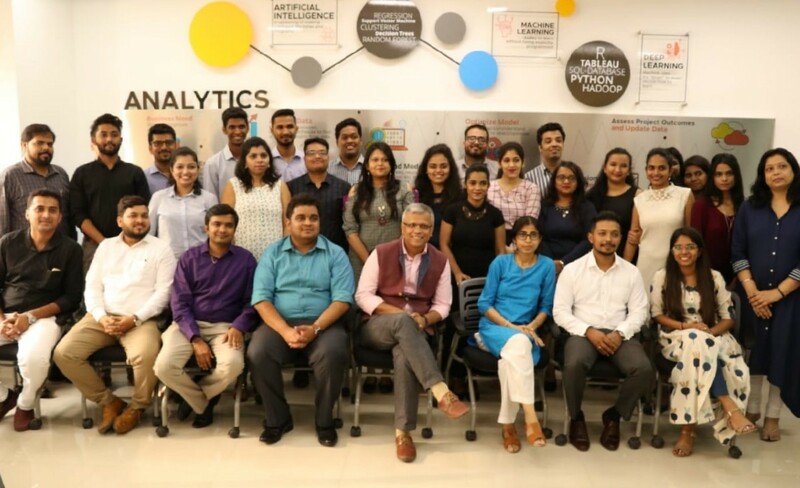 Imarticus Learning is a professional education firm that offers industry- endorsed trainings in Analytics & Financial Services and empowers individuals and large organisations in meeting their human capital and skill set requirements. It has educated over 30,000 individuals globally with 85 percent of student placed in global firms such as Wipro, Infosys, Cognizant, Accenture amongst others. Comprehensiveness: The course is designed by IBM and covers topics around multiple and linear regression, deep learning & Neural Networks with tools such as Python, Hadoop, Spark, SciKit-Learn & IBM Watson. It also has hands-on projects to master technologies behind new-age solutions. The capstone project is of duration 1-3 months and course us updated every 6 months. Accessing students: As a part of in-class project, students are required to work on a project under the trainer’s supervision at the end of each module. Students are accessed after each semester. For capstone project, students have to submit a synopsis of the project followed by the coding. The final project is then presented to a panel of industry experts for assessment. Post completion engagement: Upskilling workshops, student guest lectures, and alumni meets. External collaboration: They have collaborations with leading firms to ensure that the curriculum is timely, relevant and futuristic. The Machine Learning Prodegree is endorsed by IBM. Imarticus Learning has also established alliances with global analytics firms namely, Genpact and DXC Technology. The overall ranking is 3.98. Inventateq believes that choosing what to study and what course to enrol is one of the biggest challenges and therefore they encourage students to pick right software course by counselling. The institute provides quality and project-based training for thousands of students and support them get their dream job with their placement program. Comprehensiveness: The in-depth and advanced data analytics course content is designed by industry experts based on current job requirements, real-time data sets provided to students to practice and gain hands-on exposure. The capstone projects are duration of more than three months and course is updated every 6y months. Accessing Students: The students are accessed for their knowledge and skills through mock exams, mock interviews, and giving them more real-time scenarios to do assignments. The overall rating is 3.85. Which Institute Would You Rate The Highest?